Porsche has confirmed in a recent report by Motorsport.com that their six-driver LMP1 squad will likely not transition intact to the German sports car legend's Formula E team when it kicks off during the 2018/2019 season. 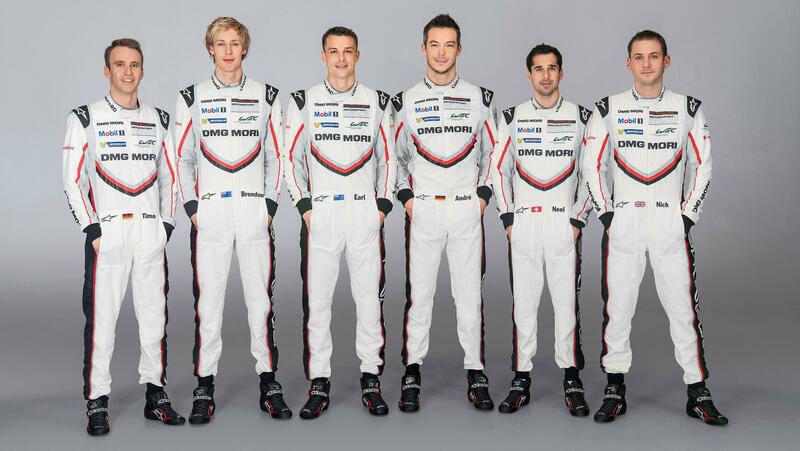 As it stands, the current team of Timo Bernhard, Brendon Hartley, Earl Bamber, Andre Lotterer, Neel Jani, and Nick Tandy will remain under contract with Porsche for the 2018 season, regardless of the fact that they will be disbanding their LMP1 efforts in just a few weeks time. According to various reports, and thanks to his connection to Red Bull, it would seem that Brendon Hartley's full-season contract with Scuderia Toro Rosso in Formula 1 is all but a done deal. He's a talented kid, and has proven himself in the most recent two races of the F1 season, so we don't expect him to step into a Formula E car any time soon. Further, Neel Jani has already joined the Dragon Racing team, while Andre Lotterer has found himself aboard the Techeetah team in Formula E for the 2017/18 season. If we were to place wagers, our bet would be on Porsche to put Neel Jani and Andre Lotterer in their two-car Formula E team for the 18/19 season. While it is most likely that Porsche would promote drivers from within the team, Andreas Seidl has confirmed that Porsche is also looking outside their own roster to fill the Formula E team seats. Bamber, Tandy, and Bernhard are all excellent sports car racers, and we could easily see them stepping back into a GT-based international program. Then again, there are the rumors of a Porsche Formula 1 team floating around to consider. As soon as we have more concrete information, we'll be sure to bring you all of the Porsche motorsport driver moves as they happen.